Under the cool canopy of a grove of mature walnut trees, one can visualize the past and future generations of farmers and families playing and tending to these trees, their branches heavy with bounty. This picture is no truer than on the 250-acre walnut farm owned by the Galeazzi family located near Lockeford, recently conserved with an agricultural conservation easement between the family and Central Valley Farmland Trust. Farm owners, John Galeazzi and his wife of 50 years, Carolyn, have been farming all their lives. John’s family emigrated from Italy to the United States in 1894, settling in Modesto where they began farming a variety of crops. John and Carolyn followed suit and raised their three children on the farm. Their son Tom, and his wife Tawnya, are part owners in the family farm today, and two daughters, Lisa and Julia, are involved as well. Julia and her husband, John Vink, also farm adjacent to the family property. “Our future is more certain – we know what we will be doing and we can work toward the best management with that knowledge,” continued Tom Galeazzi. 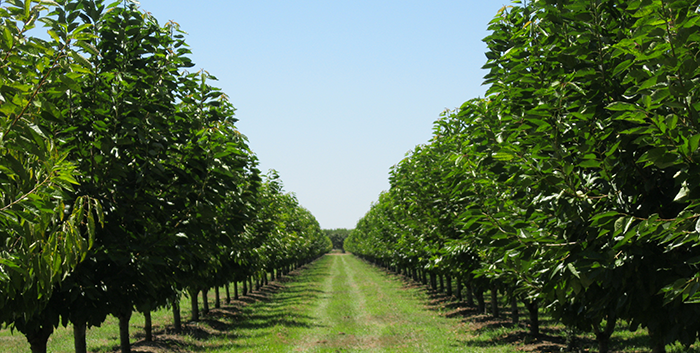 On the Galeazzi Farm they focus on efficient and economic practices for managing and harvesting their walnuts. They do a multiple shake on the trees and several sweeps to capture nuts and reduce litter on the ground that could become a management challenge later in the year. From soil amending in November after harvest is done, to pruning, grinding brush, managing for pests, and then leaf analysis in June and July, it’s all for August when the nut sizes and the kernel fills. 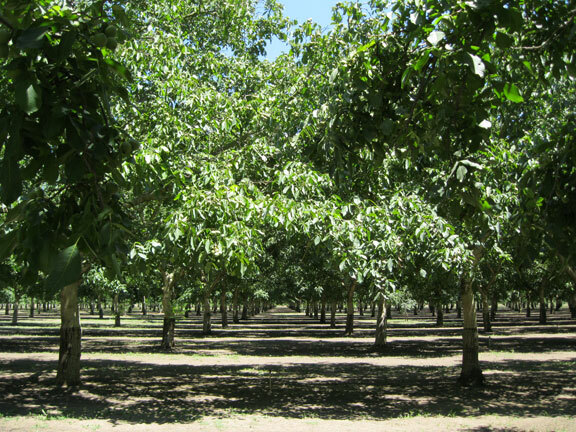 Lockeford is in the heart of a prime walnut growing region in California. “The climate, our deep fertile soils, and water make this nearly the best place on earth to grow them,” said John. In addition to the perfect environment, the Galeazzi’s have other vital resources at their fingertips. 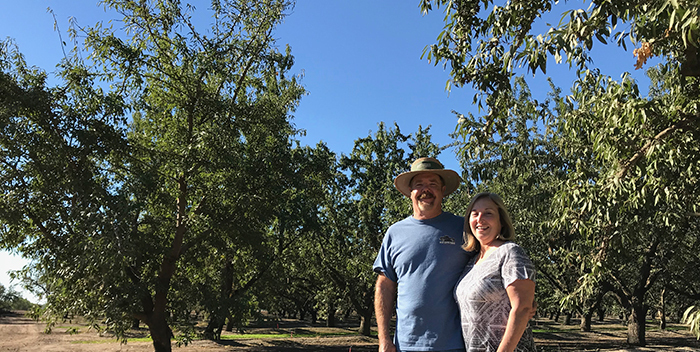 Their farm advisor and relationships with UC Davis personnel keep farm management on the cutting edge and improve production practices. The easement also preserves the family’s water rights along the river adjacent to the property.